Do you drive a Ford Transit Van with an Auto Shift Manual (ASM)? Having issues with the hydraulic system? We can help you! 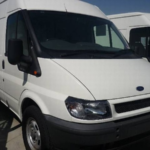 Here at Rowell & Searle Auto we specialise in the diagnosis and repairs on Ford Transit Van’s – Auto Shift Manual. These vehicles commonly have the hydraulic pump system fail. We can carry out repairs to these systems ranging from a simple reprogramme to an electric pump repair and replacement. We even keep exchange electric hydraulic pumps in stock to get you back on the road ASAP. Our technicians can also carry out clutch replacements on these vehicles. Call us today to have a chat about your Transit Van issues! Ph: (08) 8221 6694 or book online here.